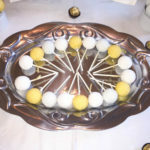 One of the main reasons I started this blog was to share my adventures in hostessing. 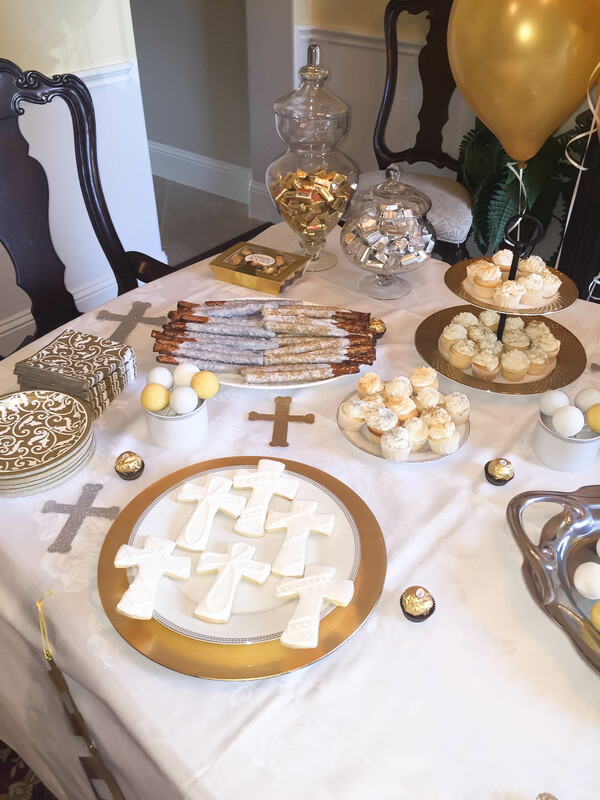 I love nothing more than throwing the perfect party! 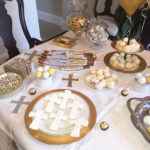 I put WAY to much effort into planning every single detail from the menu to the decor and want to use this forum to pass on some of that work with you! 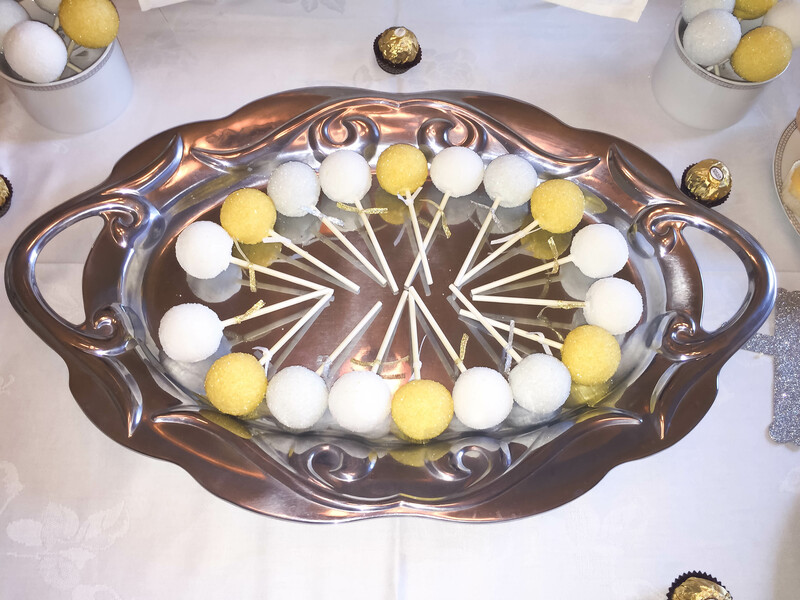 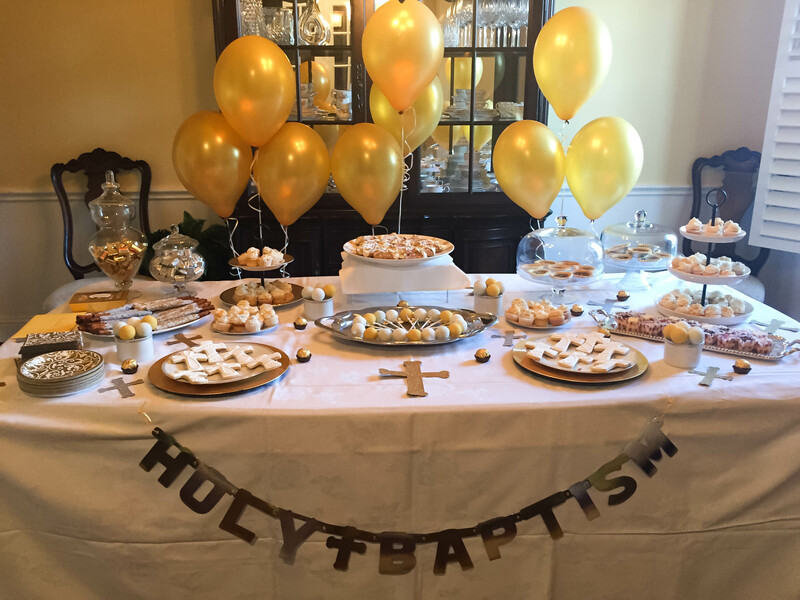 This post shares the decor and menu from my son’s Baptism party. 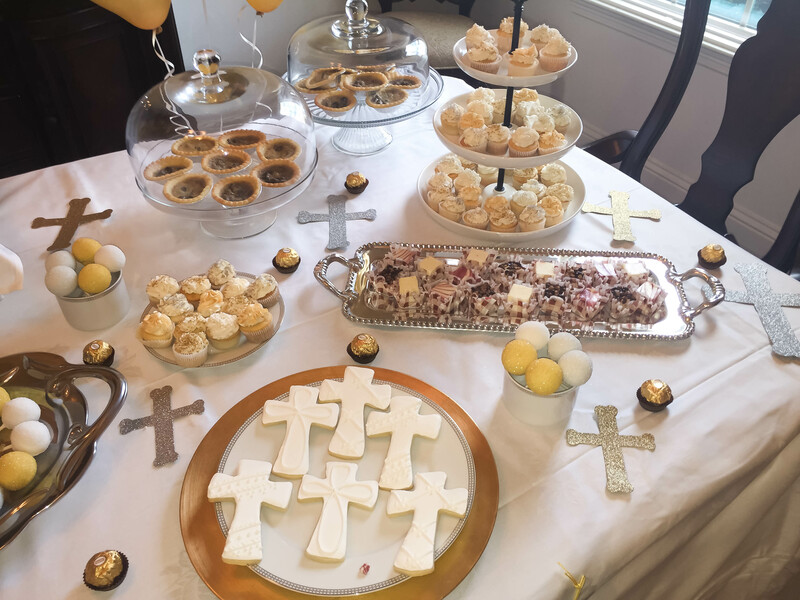 NOTE: I had hosted a family brunch in the morning and knew we would be tight on time for the afternoon party following the Baptism ceremony so I wanted to keep things simple. 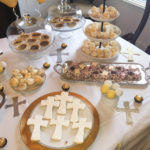 Therefore, we only offered drinks & desserts to our guests. 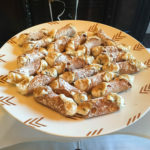 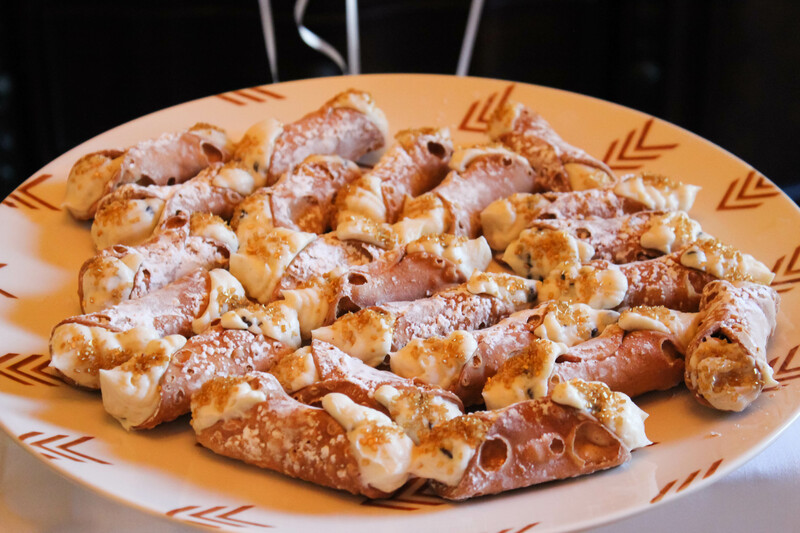 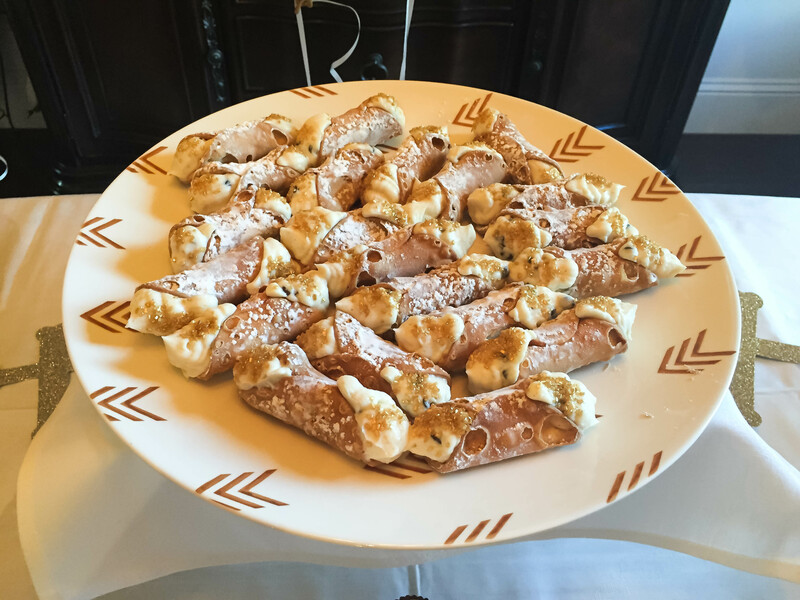 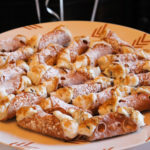 Canolis – Because the good South Jersey girl I am, they are a MUST for any Catholic celebration!